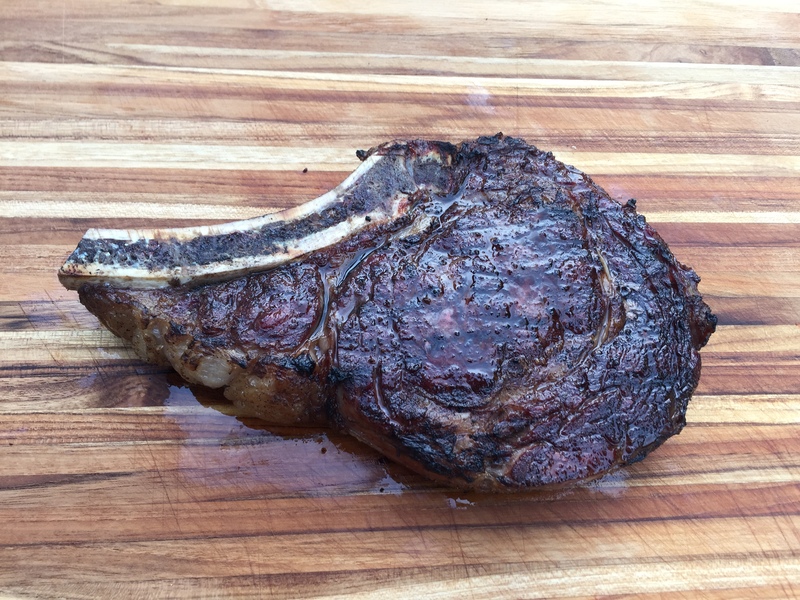 Reverse searing steaks produces great results. I think they are superior to sous vide when it comes to flavor, especially when cooking indirectly with charcoal. Cook to 115º internal temperature (for medium rare, see Kenji’s guide for other temperatures), keep the dome temperature under 250º. This will take around 20 to 30 minutes. When steak reaches desired temperature, remove steak and the plate setter. Put the grate back in the egg and get the dome temperature up to about 600º. Getting the egg to temperature might take 10 minutes or so. This process take a bit more time than just grilling the steak, but it’s worth it.